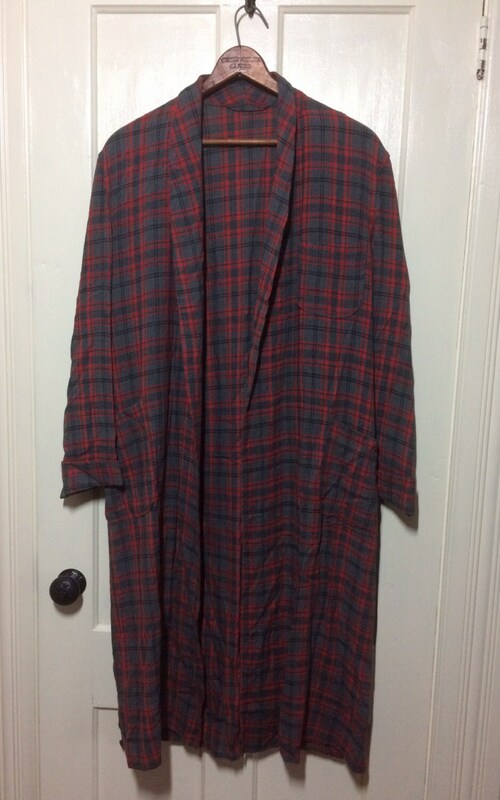 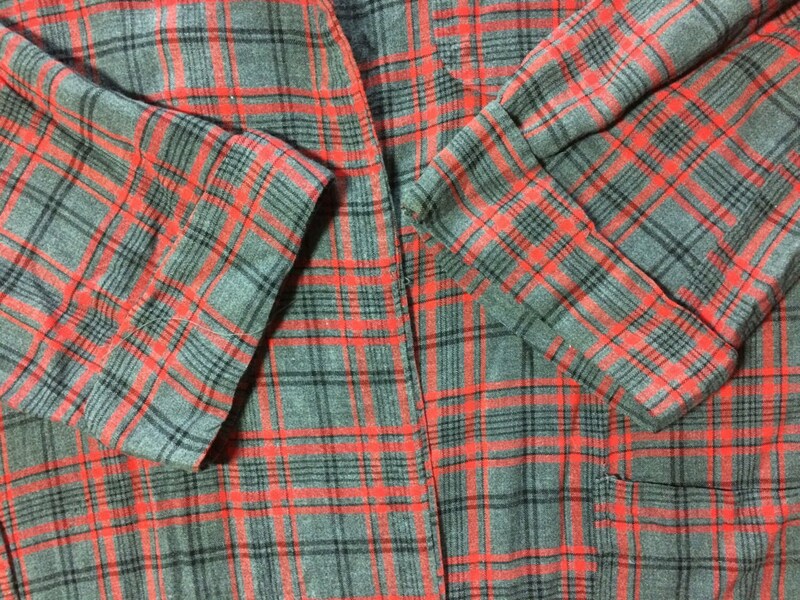 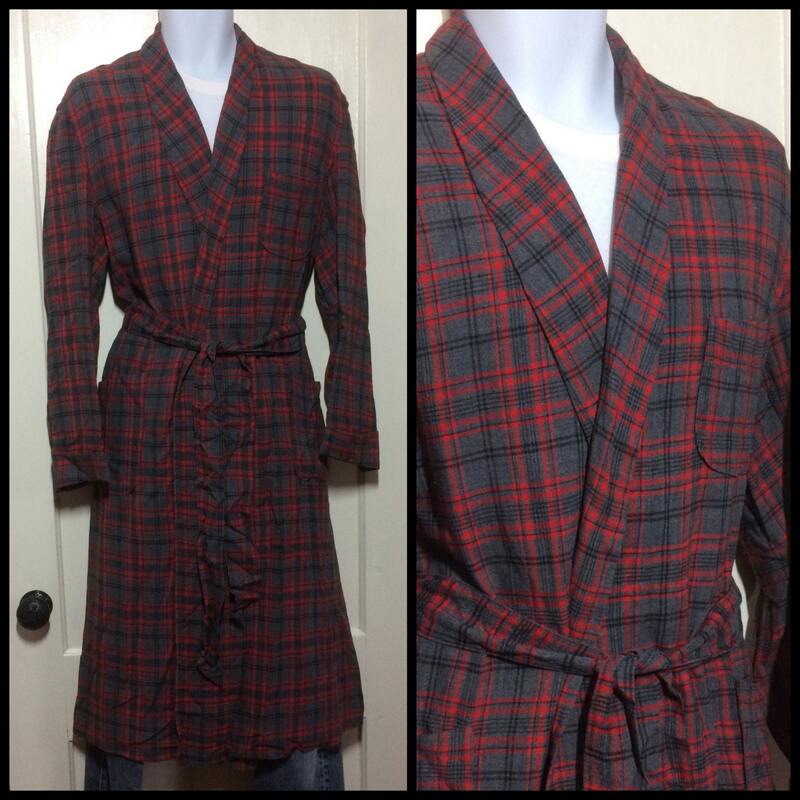 Here's a plaid rayon robe from the 1950s. 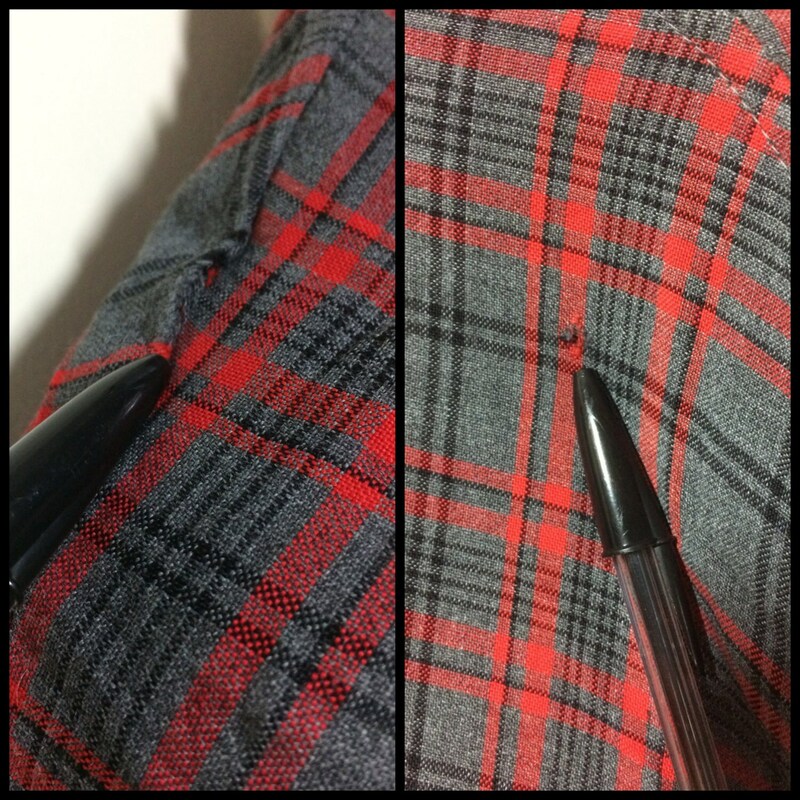 Some stitching came loose on the right shoulder (it's not a hole) and there's a tiny hole in back by the right shoulder, see last photo. 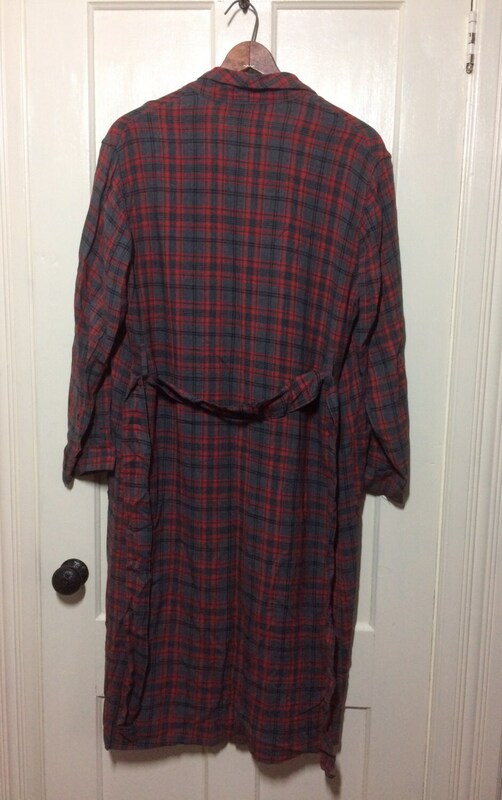 Otherwise it's in excellent used condition.